In today’s world, staying on top of all your responsibilities can be hard. 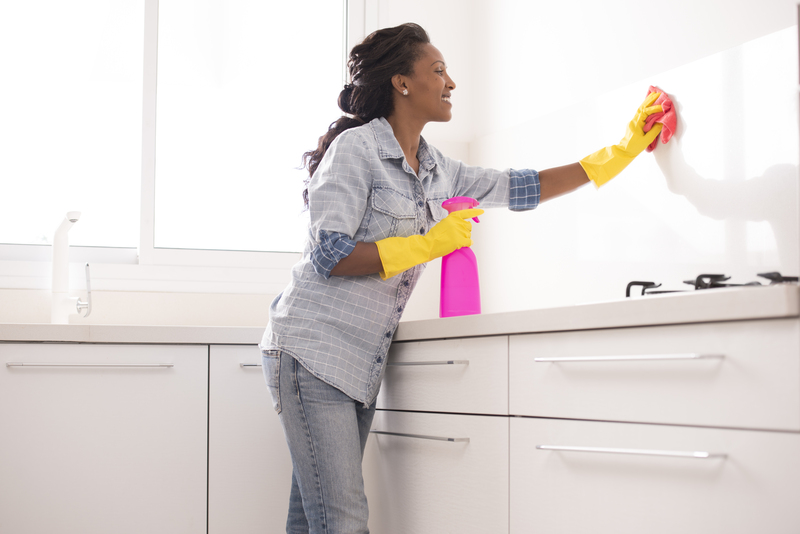 With work, cooking, and a family, it is difficult to fit cleaning into your routine. This is why My Amazing Maid’s cleaning services can change your life! Therefore, when you hire a maid service, you will see more mental clarity, better time management, and more efficiency in your life. Do you ever feel unsettled about something but you just aren’t sure what it is? Or you have a feeling of unclarity or grogginess? My Amazing Maid’s services can help clear your mind! Research has shown that having a clean home can actually positively affect your mental health! 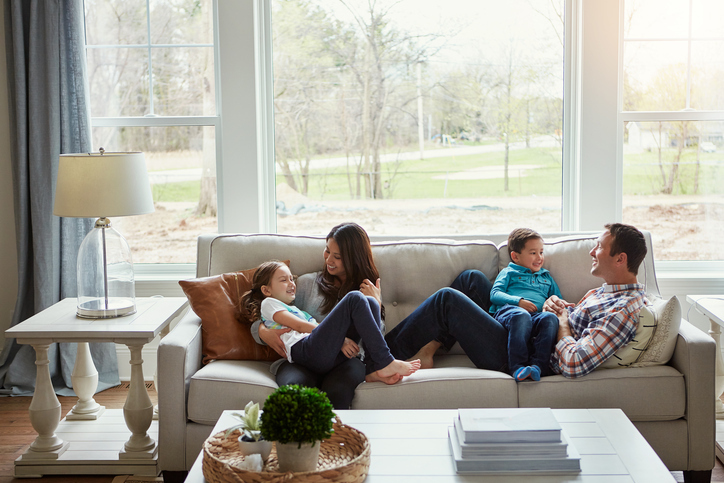 In this study, people whose homes were described as “restful” and “restorative” had higher levels of happiness and mental well being. This being said, you may not have time to clean your own house. This is when our cleaning services can help. Our cleaning services will allow you to stay refreshed and clear-minded in your day-to-day life. People are busy, the last thing that you want to do when you get home from a long day of work is to clean up around the house. On average, a female spends 2 hours and 15 minutes on housework every day. When taking this into consideration, there are just 24 hours a day. 8 of those hours are used for sleep and another 8 are used for work. When you take out 2.25 hours for cleaning that leaves just under 6 hours for recreation or any other tasks you need to get done. My Amazing Maid’s cleaning services will allow you to spend time on what really matters in life; we will take care of the rest! My Amazing Maid’s cleaning services will be completed by professionals. As a maid service, our job is to ensure the cleanliness of your home. Our cleaning services will get you a detailed clean that you may not have time to perform by yourself. We value the quality of our cleaning services, priding ourselves in our services. We also use green cleaning products so no harmful toxins are entering your home, keeping you, your family, your pets, and your home safe. Hiring a professional cleaning service means no more buying or storing your own cleaning supplies, as we already clean with the safest, most effective supplies. 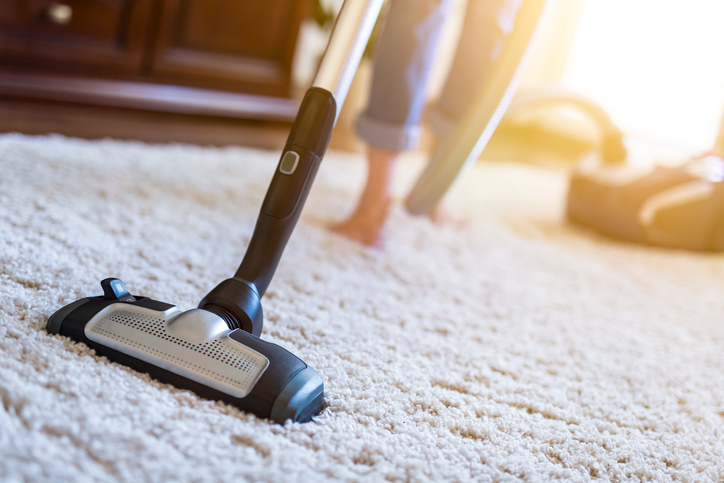 Our services really are a more efficient choice, as you can choose how long you want us to clean and you will no longer be spending the pointless money on chemicals or sponges. Why Not Hire a Professional Maid Service? My Amazing Maid’s professional cleaning services can enhance your life. When you hire a maid service, you can see more mental clarity, better time management, and more efficiency in your life. Life is too short to clean your own home! Contact us to schedule your next cleaning appointment. Moving is stressful enough without worrying about what needs to be cleaned. Whether you are just moving locally or leaving the Columbus, GA area for good, My Amazing Maid offers a move in/move out cleaning service. If you have never hired a professional cleaning service before this may be your first glance at the advantages of professional cleaning. Let us show you the perks of My Amazing Maid service! 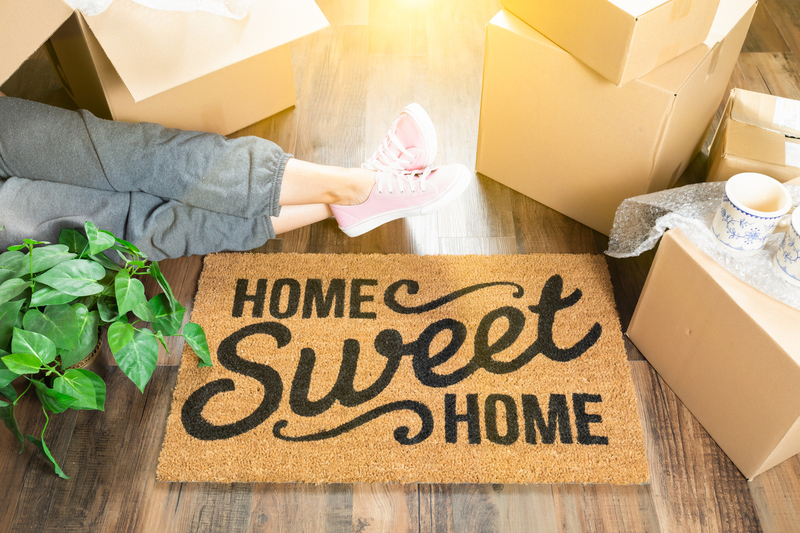 Fresh Start – Moving to a new area and a new house can be difficult. Often homes have been sitting empty or have not been lived in for some time. Before you unpack all of your belongings and settle in, let My Amazing Maid cleaning service give your new space a fresh start. Less Stress – Whether you are moving to the Columbus and Phenix City area or leaving this area for another location, moving is stressful! Between packing, organizing, and normal life obligations, cleaning your home may be very low on your list of to-dos. 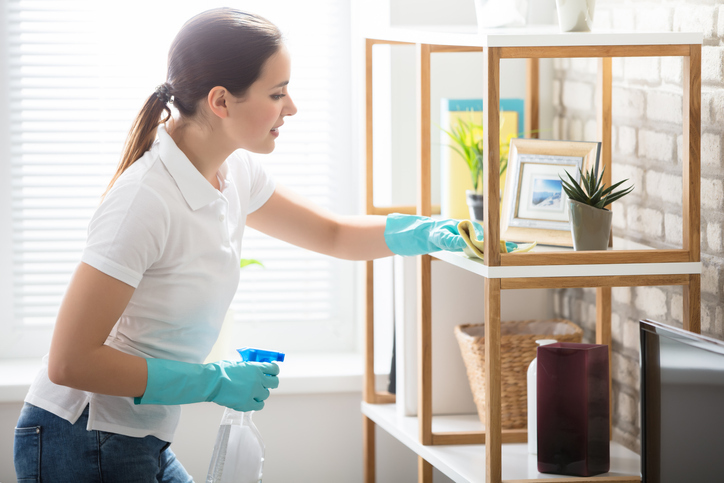 More Time – Often home cleaning appointments can be made the same day or the following day, depending on how full the schedule is for the day. This gives you more time to tackle the long list of moving tasks, without worrying if the home is clean. A Professional Clean – The move in/move out cleaning package includes everything on our premier cleaning list plus the of cleaning the inside of the oven and the inside of the refrigerator. Don’t worry about your kitchen cabinets, we wipe the interior of all cabinets and drawers. In addition to the interior of the home, we will sweep out the garage or patio and make sure your home looks it’s best. No Contract – Since the move in/move out cleaning service is a one time service you are not required to have a contract to receive a home cleaning. We hope that if you do stay in the Chattahoochee Valley area, that you give us a call for all your cleaning needs! Find out why we are called “AMAZING”! 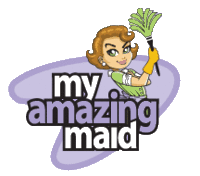 With over 30 years in the cleaning industry, My Amazing Maid is the cleaning service you can trust. Customer satisfaction is always guaranteed. Let My Amazing Maid take care of your home cleaning needs. Contact us today to schedule your cleaning service and ask about our special offers. Did you know? Everyday household cleaning items can be very harmful to you and your family. But when you hire My Amazing Maid, you don’t have to worry about potential toxins being a part of your home. Our services value your safety; this is why we choose to do our cleaning with green and eco-friendly products. We use an all-natural choice that keeps your family, pets, and home out of harm’s way — Biokleen. Biokleen is extremely environmentally friendly, and a great green chemical that can be used to protect against germs in your home. These products are safer, more effective, and healthier for the Earth than traditional cleaning chemicals. While other cleaning products can be harmful, not only to your home but people who live inside or visit the home. This is why cleaning with green chemicals is the smarter, more beneficial choice. Instead of using chlorine, ammonia, or formaldehyde, Biokleen uses plant-based ingredients such as Glycerin, chelants, orange oils, grapefruit oils, and many more friendly ingredients! Many people have the perception that green chemicals don’t work or are inferior at cleaning. However, green chemicals have greatly evolved over the years, making them a great way to get the job done! We want you to be able to focus on the things that you love to do, while we worry about the dirty work. Allow us to clean your home and eliminate the presence of outside toxins in the process. My Amazing Maid’s services don’t only value how clean your home gets, we also are concerned about how the Earth is affected by our cleaning habits. This is another reason we choose to use Biokleen products. Biokleen puts the Earth’s safety first; they use less water, fewer packaging materials, and less energy. In fact, the energy that is used to manufacture Biokleen products is completely offset through wind power credits and water restoration. Biokleen doesn’t only work to better the planet in your home. They are also advocating for a greener Earth by putting its profits towards reforestation. Biokleen ventured out by planting 12,000 trees in 2017 and will continue to inhabit their plans of reforestation in the years to come. My Amazing Maid services is advocating for a safer, healthier home, and a greener Earth by choosing to use green chemicals to clean your home. At My Amazing Maid, we value quality over quantity. Our first order of business is to ensure that we keep you, your family, your pets, and your home safe. This is why we are a proud user of Biokleen. Let us show you the positive effects of green chemicals on your home! Schedule our quality services today! A clean home is a happy home! Although sometimes it feels that there are not enough hours in the day to do all the task a home requires. In today’s world, there are so many tasks pulling you in different directions. Whether it is your career obligations, your children’s soccer practice and ballet lessons, or countless other responsibilities that keep you bustling throughout the day. My Amazing Maid can help you tackle the cleaning while you worry about everything else your family and loved ones need. Maybe even squeeze some self-care into your day. With locations throughout Columbus, Georgia, and the surrounding areas, My Amazing Maids is just a phone call away. Let us take care of your to-do list and free up your day for time better spent! Family Time – Spend more time with your family. Enjoying time together, instead of worrying about what needs to be done at home. Free up your day! Live With Less Fatigue – Save your energy for things you actually enjoy. Maybe take up a new hobby and leave the baseboards to us at My Amazing Maids. Be Healthy – In addition to maintaining a clean environment in your home, My Amazing Maids also provides a deep clean service. Keeping your home free from dust and other allergens that can cause various health problems. Gain Peace of Mind – Put your mind at ease, My Amazing Maids is a locally owned and operated business. All employees are background checked and bonded, providing your family with the satisfaction you deserve. Free Up Your Weekends – Take a trip! Instead of worrying about cleaning the house over the weekend. No longer do you have to save up all the cleaning tasks for the weekend. Spend your weekends having fun and leave the cleaning to us. There are fewer things more rewarding than looking around your home and witnessing how clean it is! My Amazing Maid can tackle the bathrooms, kitchen, bedrooms, and dusting while you live your life. Here at My Amazing Maid, we offer different packages and cleaning schedules to fit your needs and budget. Options of cleaning packages include recurring house cleaning, one-time house cleaning or deep clean, move in/move out clean, and small commercial cleaning. Let the professionals at My Amazing Maid help you make your home sparkle and shine! Contact us to learn how you can receive a special offer for a new appointment and ask about our Military Discount. At My Amazing Maid, we do more than just clean. We help provide simple and necessary home tasks that bog you down in time in effort. 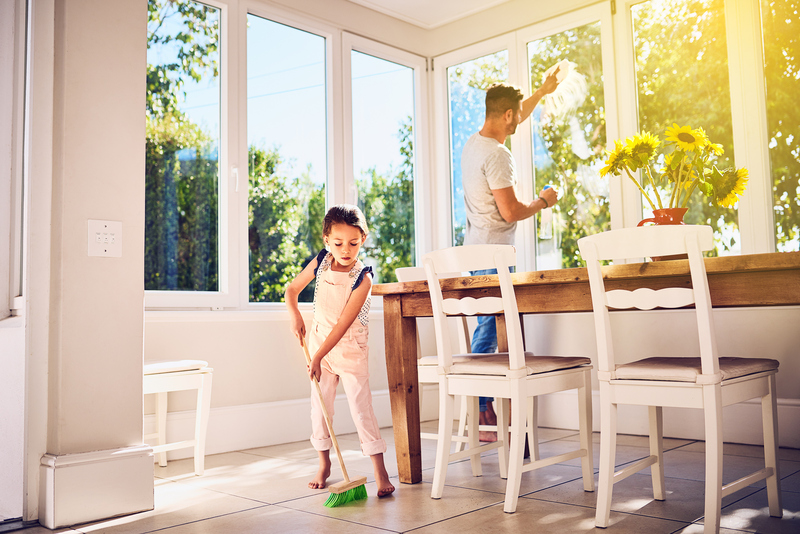 By taking in- and away-from-home chores off of your plate, we can help free up time to let you do more of what you enjoy most: family time, free time, or time to simply relax. We don’t mean to brag … but we also love being amazing! Why are we amazing? Because we offer a number of in-home services and give you the ability to do what you enjoy most. At MAM, we provide in-home cleaning and organizing services, pet watching, errand running, house sitting, and more. If you need it done, chances are we can help take it off of your plate! Our main goal is to remain flexible with clients to provide pointed help that meets individual needs. It’s our job to make your life easier. Why shop for groceries or clean the house when you can spend your time having fun with your family? We will take care of all of the logistics. Simply sign up and book your time online. You can use our app to fill out instructions with any specific requests. Check mark tasks that need done, and leave along with ones you don’t. With this specific approach we are able to follow your wants to a T.
If your needs change by the day, no problem! Adjust your requests each time you order services, no problem! At MAM, we want to take chores off of your plate. Let us do what we do best and take control of time consuming or mundane tasks so you have less stress. Enjoy the peace of mind that comes with a shorter to-do list, and more time for what you love! To schedule your next service, head to our online booking service for a quote. Or, click on the contact tab and ask any questions you might have.